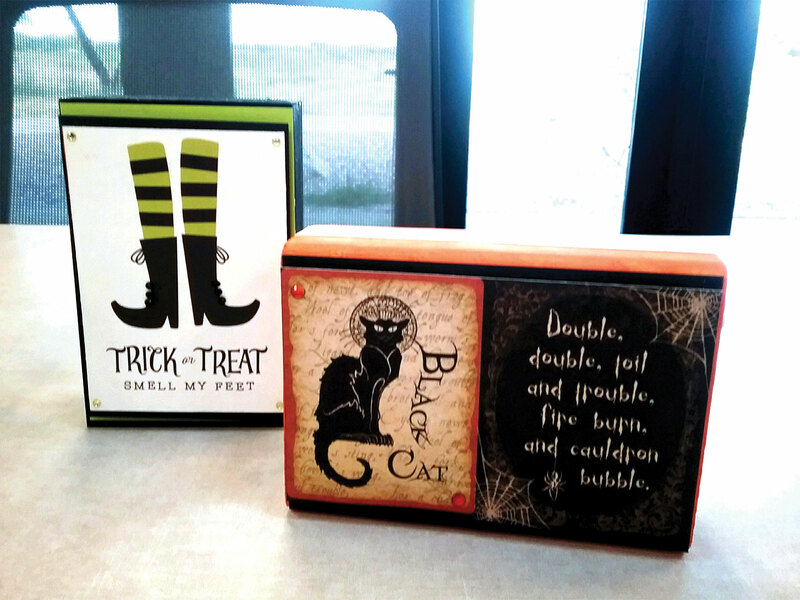 On Monday, September 18, 2018, the paper crafting class held a class on Halloween decorations. The price of the class was $3 and all supplies were included. Thirteen people attended where instructions were provided on making Halloween decorations. Some participants made the decorations for their grandchildren, children and/or themselves. Most participants were able to make more than one and were excited to walk away with a finished product. The Papercrafting Club meets in the Fine Arts building on Mondays between the hours of 1:00-4:00 p.m. Classes are held approximately once a month. There is always a monitor available to help get new members started on tags, cards, scrapbooking, decorations and many other projects. After one or two visits it is required to bring your own adhesives, paper and supplies. There are many supplies available such as cutters, punches, stamps, etc. Come by and visit or stop by and look at our display window.